The National Highway Traffic Safety Administration (NHTSA) and U.S. Transportation Secretary Ray LaHood released distraction guidelines that they hope will encourage automakers to limit visual and manual distractions in the vehicles they manufacture. By limiting the amount of electronic devices for communication, navigation, and entertainment within vehicles, the NHTSA hopes that drivers will be less distracted on the road. The guidelines suggest that no task within the vehicle take longer than two seconds at a time and 12 seconds total. The NHTSA also suggested that vehicles be able to shut off various distracting operations while being driven, only turning them back on when the car is stopped and parked. These operations include visual entertainment and communications, manual text entry for browsing and messaging, and displaying web pages, social media content, and text messages. Studies by the NHTSA found that texting, browsing, and dialing resulted in the longest amount of time that a driver’s eyes were off the road. 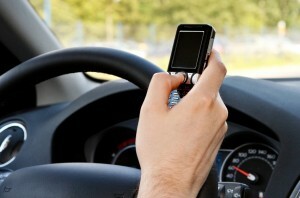 They also found that actions which mixed manual and visual distraction were the most likely to result in a crash, such as text messaging and other uses of hand-held phones, since these required visual-manual tasks 100 percent of the time. To learn more about your rights as a victim of a distracted driver, get in touch with Long Beach distracted driving accident lawyer Joseph H. Low IV by calling (888) 454-5569. The path to physical and financial recovery can begin today.